Lá Fhéile Pádraig from Droichead Átha! Drogheda is a big town. Some might even say city. This is a debate that has come to light in the recent months with various local interest groups pushing for city status. Some of the arguments for this centre around population - at least 41,000 people according to the 2016 census, with many more in the immediate surrounding area. We are situated just 25 minutes from Dublin airport and located right on the M1 corridor, the focus of a recent jobs and initiative announcement. We have a vast array of industries from retail and leisure, financial, right the way through to a thriving port and digital agencies such as ourselves. There certainly isn’t a shortage of innovation and interest in Drogheda. Drogheda is a place that is steeped in history. The town itself is medieval, full of old stories and historic monuments dotted around the town such as St. Laurence’s Gate and the Magdalene Tower. If you believe legend the final resting place of Amhairghin, the mythical Celtic inventor of poetry is reputed to be under Millmount. Just outside the town is the famous site of the battle of the Boyne and the UNESCO world heritage site of Newgrange. We are also the gateway to the world-renowned Boyne Valley region. As a local business, MOR Digital are very proud of being part of the history of the town / city and our contribution to helping companies and organisations grow here. One project of note is the work we have done with Boyne Valley. 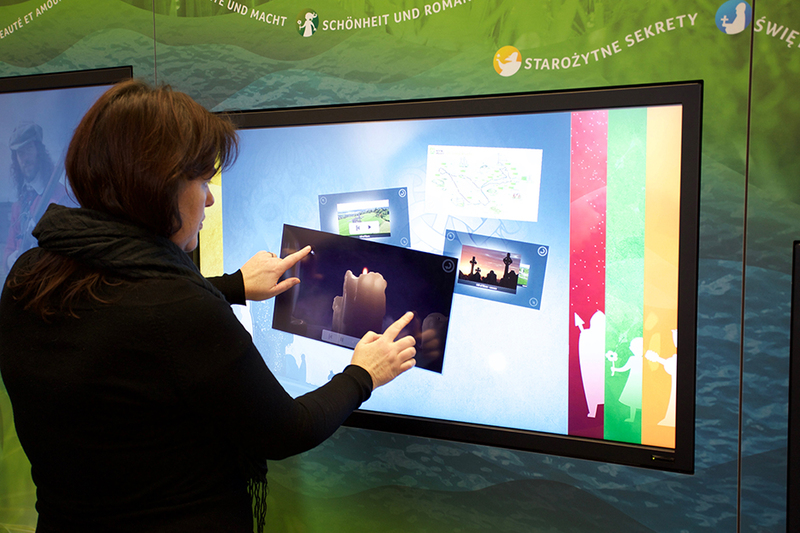 Louth County Council saw an opportunity with the rise in tourism in the area in recent years and decided to install a modern, 4 screen interactive display to entertain and delight visitors to Drogheda's historic tourist office and inform them of the full potential of touring the wider Boyne Valley. Together we designed and built a unique, modern experience which gives browsing visitors a taste of all the Boyne Valley has to offer and inspires people to get out and explore the Driving Route. We have always and continue to work with local businesses organisations to develop and grow ideas, events and revenue. View some of our work here. Why not call in to see if we can work together? MOR Digital is an award-winning digital engagement company specialising in web, social, content, engagement and strategy. We have been assisting small and large businesses and organisations with their website, strategy and digital footprint for 18 years. In each and every case we are on the journey with you. If you are trying to figure out how digital can work better for you in 2019, get in touch with MOR Digital today. Why we love DigitalHappy Earth Day!